A discovery has been made deep in the coding language of the new Facebook video calling app that suggests Facebook could have something VERY big up its sleeve. The uncovered code hints at a possible Facebook online music service that would compete with the likes of iTunes, Google, and Amazon. Note the last line of actual code where it says “MusicDownloadDialog”. 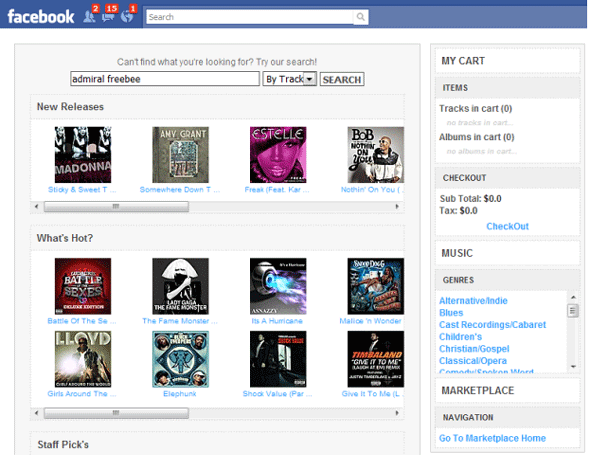 Of course, this is the first solid sign that Facebook could be developing an online music store. No one really knows anything at this point. But why would the same batch of code for the new Facebook video calling app have a reference to “MusicDownloadDialog” in it? Is it possible that Facebook’s online music store could also be integrated into the new Facebook video calling?